TALK about a blockhead move. 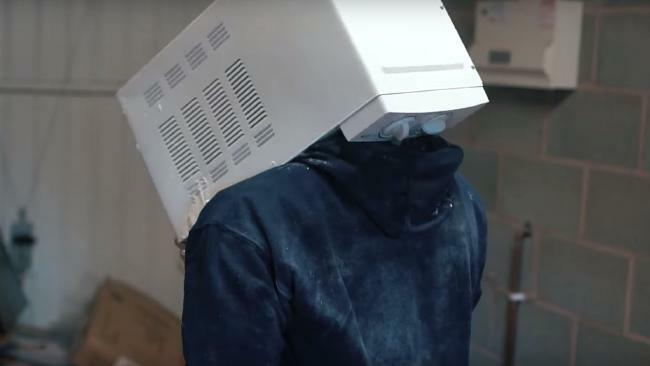 An English YouTube prankster had to call the fire brigade for help on Wednesday when he cemented his head into a microwave in Wolverhampton. 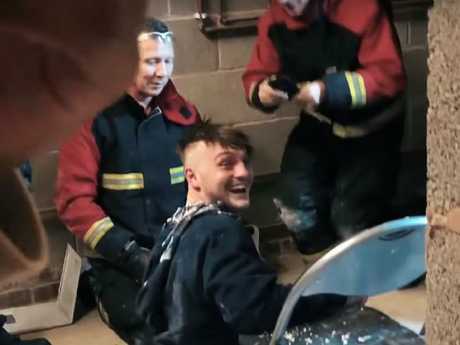 Five firefighters spent an hour freeing Jay Swingler, 22, after he and his friends poured seven bags of spackling paste Polyfilla around his head, which was in a plastic bag inside the oven. He managed to keep breathing through a tube. "We're seriously unimpressed," West Midlands Fire Service wrote on its Facebook page. 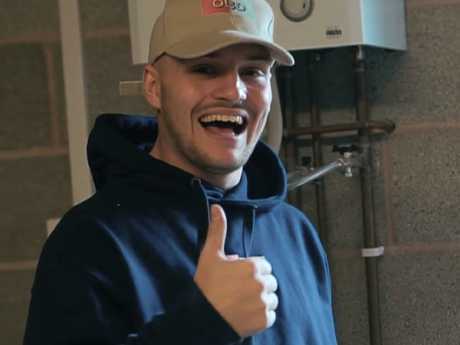 Swingler shared the nearly fatal prank on the Jackass-style TGFbro YouTube channel as part of its "Extreme Christmas Calendar series". 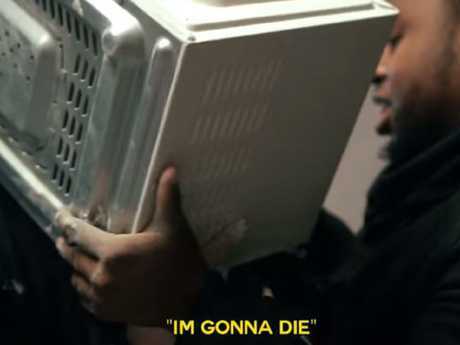 "I was panicking and I was telling them, 'I'm about to die'," Swingler says in the video. The rest of his crew initially didn't believe he was in distress because he is such as prankster. After trying to break through the cement with a drill, his mates eventually called the fire brigade and an ambulance. 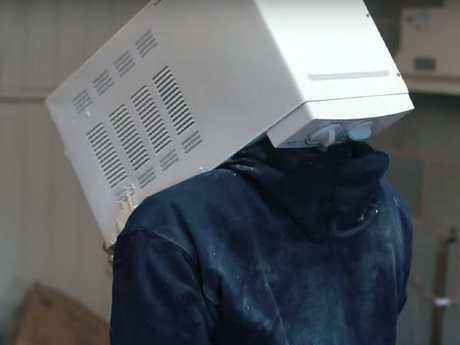 Firefighters had to call a technical rescue team to dismantle the microwave and then delicately removing the cement with a screwdriver and a chisel. "After a very long process of doing this, they finally got me out and I've never appreciated life so much ever," he said. Watch commander Shaun Dakin said the man "could quite easily have suffocated or have been seriously injured", according to the BBC. "The mixture quickly set hard and, by the time we were called, they'd already been trying to free him for an hour and a half," he said. So, Swingler lives to prank another day.